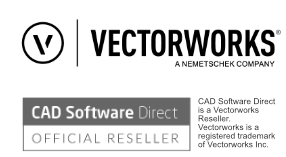 Vectorworks Spotlight is the gold standard for CAD software in entertainment design. Whether you design lighting, scenery, sets, corporate events, theatrical productions, or exhibits, you can put yourself in the spotlight when you create a spectacular show. With superior 2D and 3D capabilities, you'll enjoy an ease-of-use not found in competing interfaces. Building on the core Vectorworks features, Vectorworks Spotlight includes numerous tools and libraries specific to designing for events, exhibitions or public performance spaces - including configurable lights, dynamic seating tools, sight/projection range tools and much more. Vectorworks Spotlight continues to deliver greater capabilities, improved tools for the design and documentation of overhead stage rigging, enhanced stage creation abilities, lighting devices, graphical controls for event plans, and so much more. In addition to a suite of precision drafting tools, Spotlight gives you access to extensive libraries of lighting instruments, accessories, scenic elements, architectural objects, audio objects, video objects, machine parts, and furniture from leading manufacturers. Just drag and drop them into your projects. Easily create multi-dimensional scenery and forced perspective by pushing, pulling, and molding your model with subdivision modeling. You can design from any 3D view using modes in modeling tools that automatically infer working planes as you move your cursor. The SmartCursor™ helps by showing hints, like the angle from the previous segment, as you draw, and Spotlight's patent-pending X-ray Select technology lets you see through models to select, move, and modify hidden objects with precision and ease. Spotlight’s collaborative tools allow you to focus on your individual strengths by giving all contributors the ability to work concurrently on the same design. Whether you work in 2D, 3D, or a combination thereof, Spotlight’s Project Sharing capabilities enhance your team’s ability to work cohesively and produce incredible results across the design process. Stop manually counting items in your drawings. Automatic data tracking does the tedious work for you. Builtin paperwork functions help you to quickly generate customized reports like schedules, inventory or rental lists, and channel and dimmer hookups, as well as magic sheets, color cut lists, and instrument summaries. Take advantage of the two-way link between database worksheets and objects, and gain the power to change object parameters directly from the worksheet. Share your information fluidly with Vectorworks software’s numerous file translators. Exchange lighting data with ESP Vision, Lightwright, grandMA, connectCAD, and more. Also, publish your designs for inclusion in marketing materials or websites. Get on the cutting edge of collaborative digital practices, exchanging 2D drawings, 3D models, and data for numerous multidisciplinary, multi-platform design and lighting control workflows. Best-in-class documentation tools complement an extensive library of signature brand lighting, so you can quickly create light plots, automate paperwork, and visualize your design in rendered 3D views. Easily import venues from facilities managers and hospitality staff, or build them from scratch with easy-to-use tools and numerous resources, quickly creating the room, stage, steps, lectern, video screens, and seating. With built-in, industry-specific objects such as trusses, video and audio gear, and soft goods, coupled with highly capable walls, doors, and windows, Vectorworks Spotlight provides the most complete and versatile 3D capability in the industry.